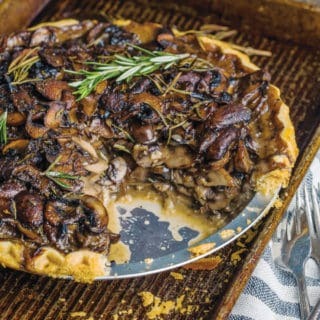 When it comes to cooking with eggplants, we’re fairly new to the game. 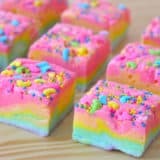 Ever since we first tried them, however, we’re basically obsessed and we knew we’d have to run home and look up as many recipes as possible so we could enjoy them at home as well and not just in restaurants. 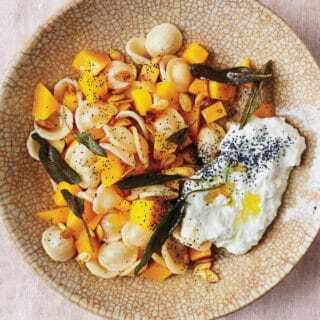 That’s why we always have our eyes peeled for new kinds of eggplant dishes that are unique and flavourful. 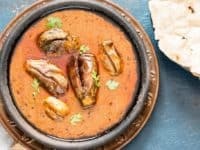 Just in case you love the idea of trying new things when it comes to cooking with eggplant just as much as we do, if not more, here are 15 of the best tasting and most unique recipes that we’ve come across in our search so far. The beauty of cooking with eggplants is that they can largely serve as their own dish, whether you want to make them a side dish or an entree piece. 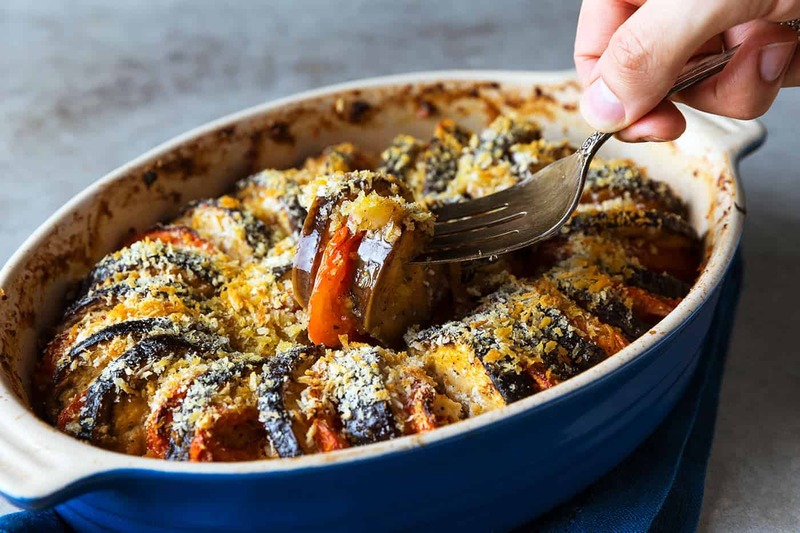 One of our favourite ways to prepare eggplant is to roast it, but we’re always open to new ideas of what to roast it with! 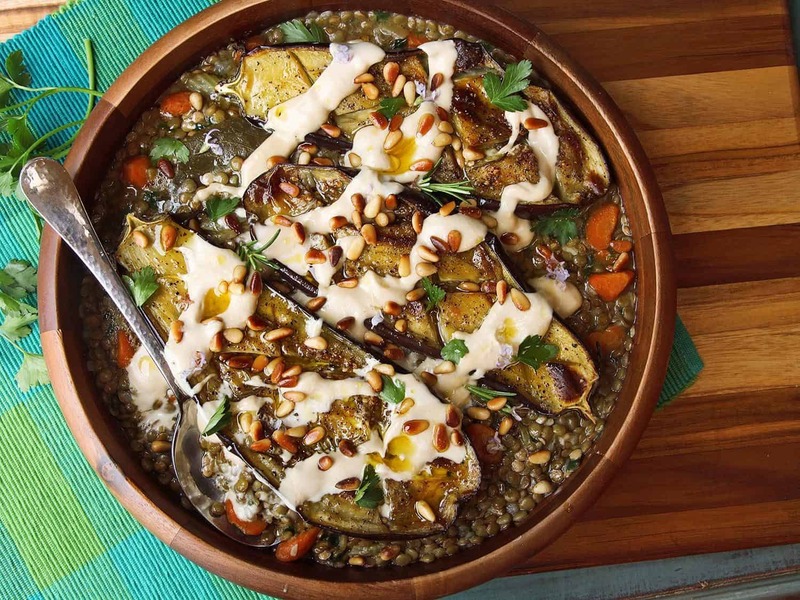 That’s why we were pleased to find this tahini sauce, pine nuts, and lentils suggestion from Serious Eats. 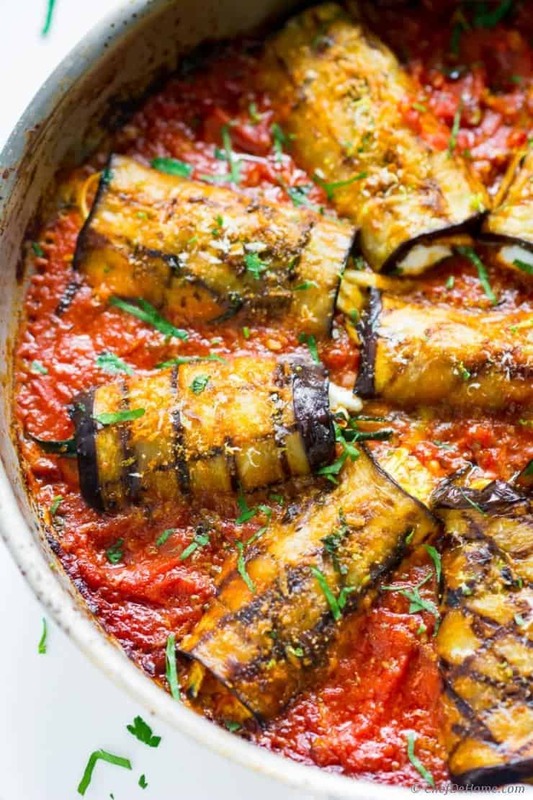 If you’ve never tried rolling a slice of eggplant around a delicious filling then we’re sorry to tell you that you’ve been missing out and we absolutely think it’s time you did! 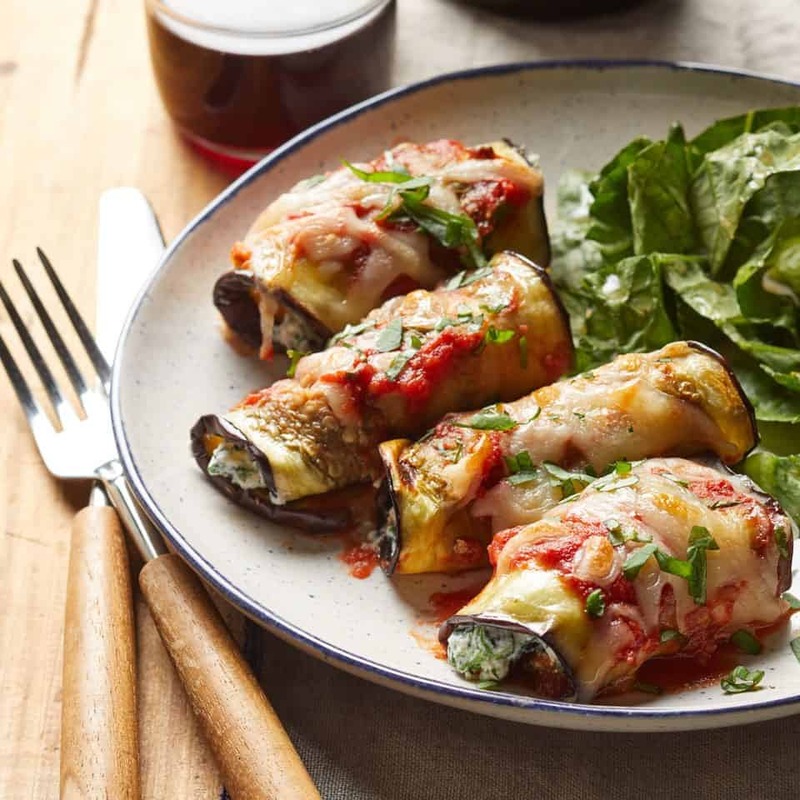 Take a look at how Eating Well made these delicious eggplant lasagna rolls (which pack a lot of flavour) in surprisingly few simple steps. 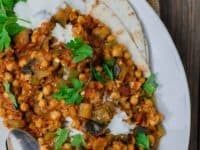 If you’re going to cook with eggplant, would you rather make it into something more akin to a stir fry or a curry, so that it mixes perfectly with other great tasting ingredients within something else? 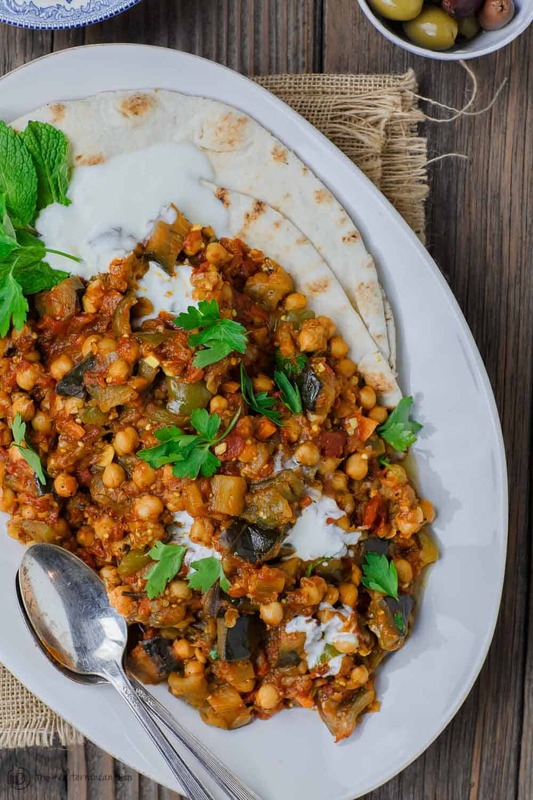 In that case, we’d absolutely suggest taking a look at how The Mediterranean Dish made this Greek style braised eggplant served with chick peas, spices, yogurt sauce, and a pita. 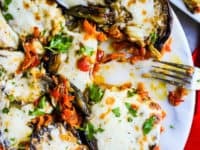 Just like you can make a delicious loaded baked potato smothered in cheese, you can also reduce your carb intake and make a slightly healthier choice by making loaded baked eggplant! 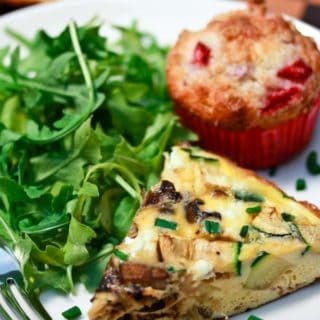 So long as you like the taste of eggplant, this delicious dish outlined step by step on Munchkin Time is absolutely delicious! 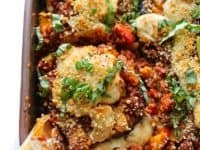 Just in case you were quite intrigued indeed by the idea of filling rolled eggplant with something delicious and serving it that way but you’ve always been more of a tomato sauce person when it comes to pasta then a lasagna layers person, here’s a recipe that gives you all the sauce you could ask for! 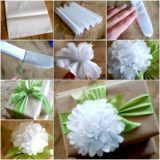 Get the full details on Chef de Home. 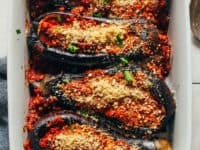 What if we told you that eggplants are one of the few things you can cook with that let you serve a main and a side dish together as one entity by stuffing them, kind of like ground beef stuffed bell peppers? 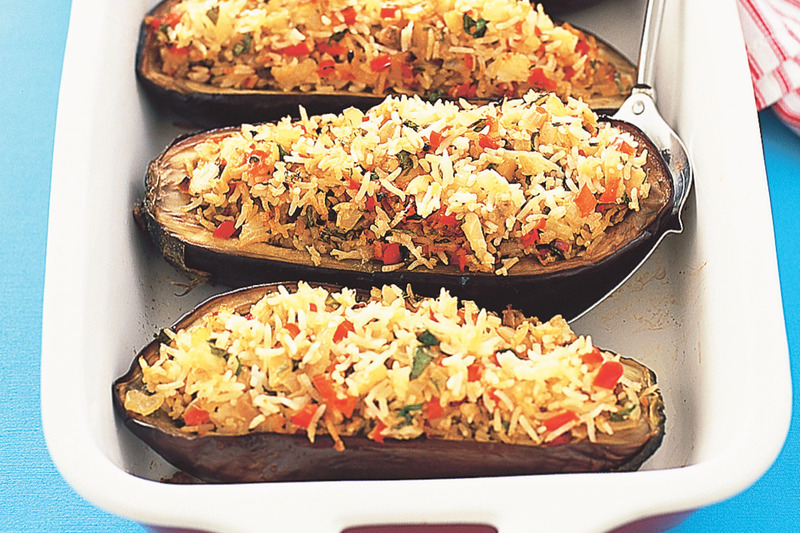 Well, when we heard that fact, we immediately looked up our options and were very pleased indeed to come across this delicious spicy rice-filled eggplant from Taste! 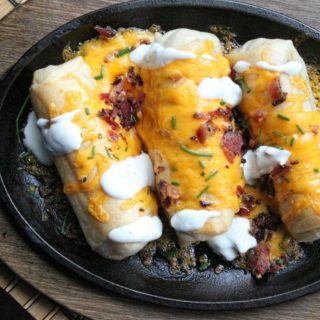 There are all kinds of different gratin dishes out there to make and they’re all pretty darn delicious. 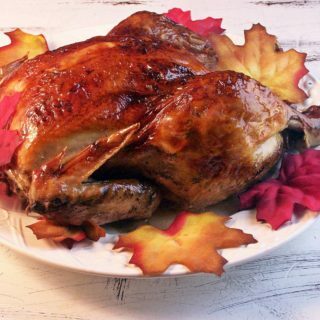 In fact, there are so many different ways to prepare it that we could practically write an entire additional post about just gratin! 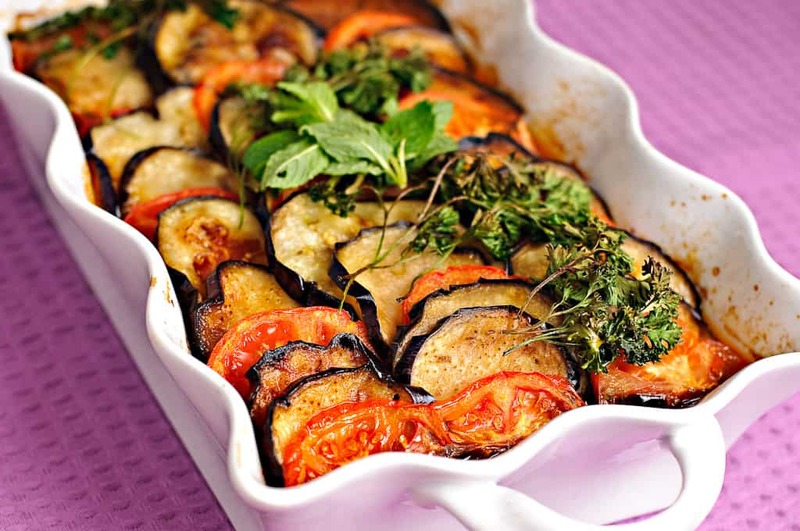 for now, however, enjoy this delicious eggplant gratin recipe from Tasting Table. 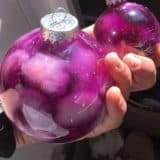 Did we catch your attention quite well when we started talking about the idea of making eggplant based dishes that are spicy but you’d rather remove the other ingredients and add the spice directly to the eggplant itself? 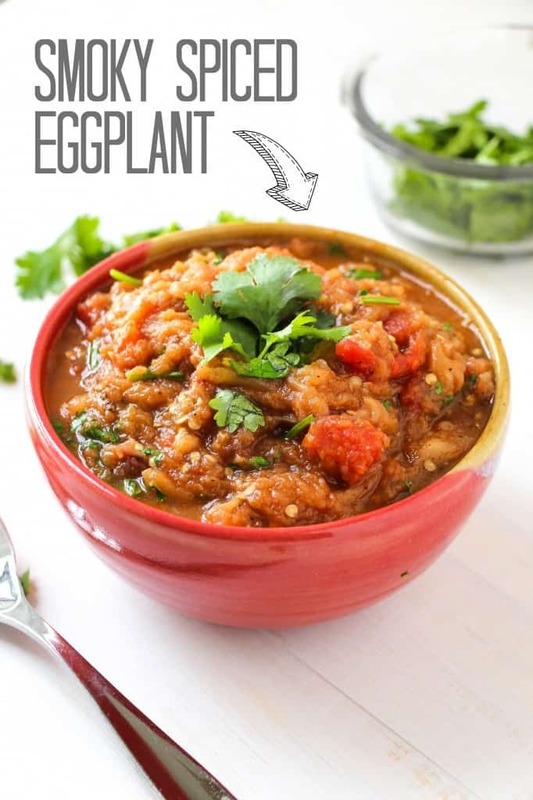 In that case, we have a feeling you’ll get along very well indeed with this recipe from Layers of Happiness that shows you how to make a satisfying bowl of smoky spiced eggplant! 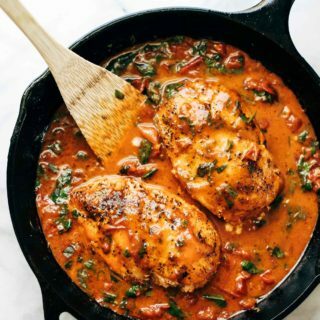 We’ve always been huge curry fans, but sometimes we like to try the vegetarian versions of the things we like rather than just eating the same chicken and beef dishes all the time. 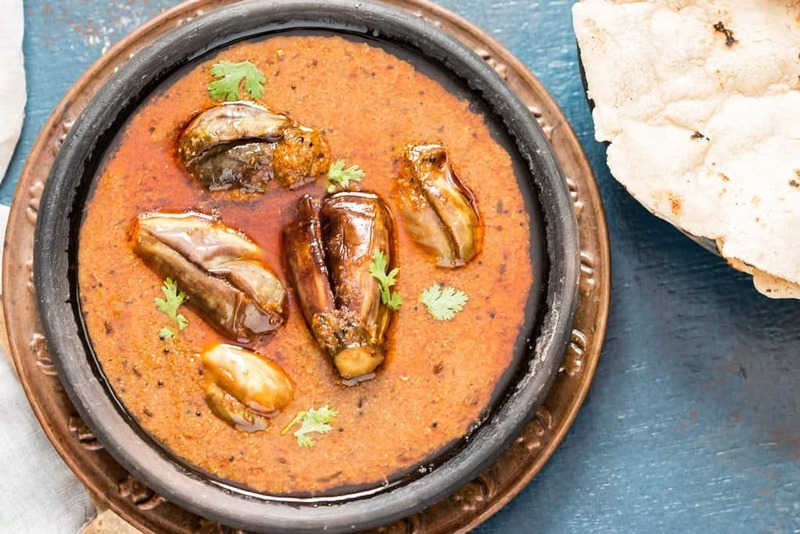 One of our favourite ways to enjoy curry is, of course, with eggplant in the place of the meat! 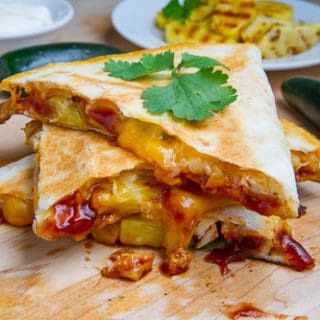 Check out this mouthwatering recipe from Archana’s Kitchen to see what we mean. 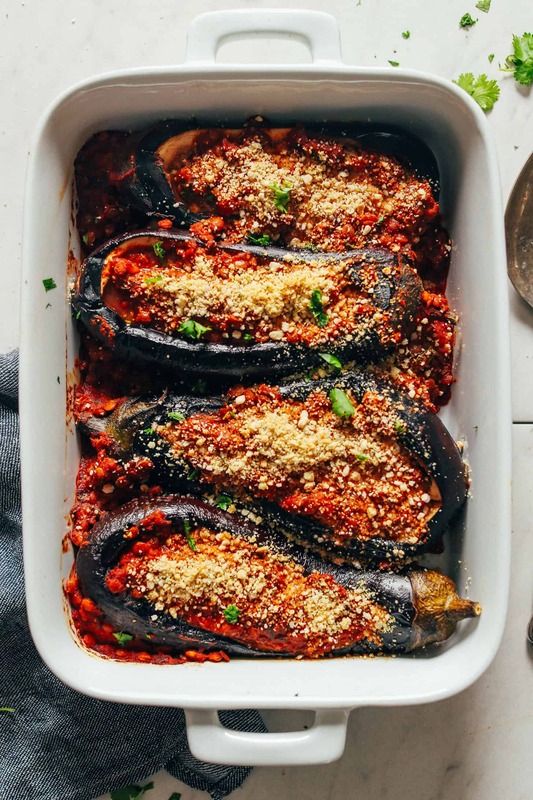 Just in case you’re still feeling enamoured with the idea of making some kind of stuffed eggplant recipe because you love the way those dishes let you experience so many flavours at once, here’s one that’s also great for lentil lovers! 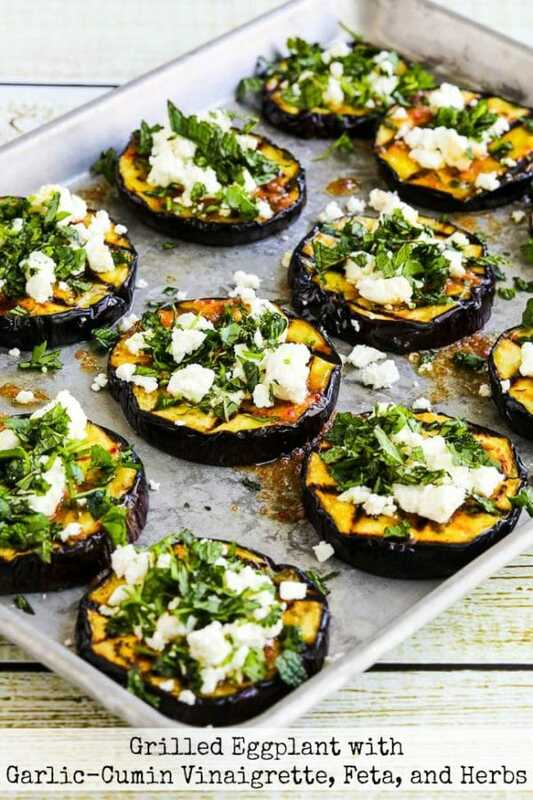 Check out how Minimalist Baker made these fantastic lentil stuffed eggplants complete with delicious Moroccan spices. 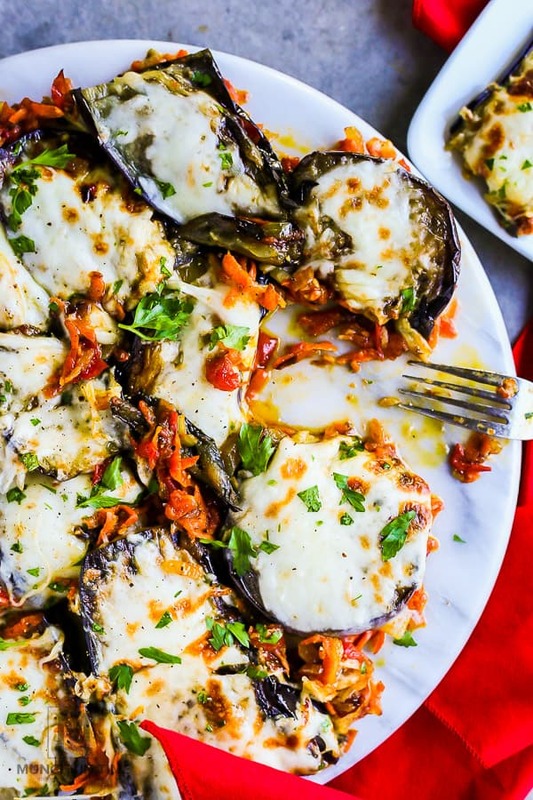 Were you quite intrigued indeed by the idea of making a delicious cheese laden fully loaded baked eggplant dish… until you remembered that one of your dinner guests is vegan? 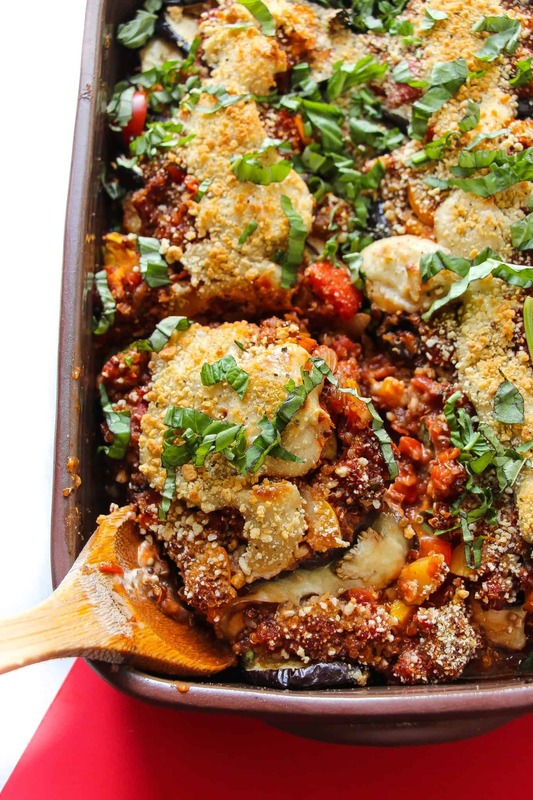 In that case, we have a feeling you’ll get along much better indeed with something like this delicious vegan eggplant parmesan bake featured step by step on Layers of Happiness. 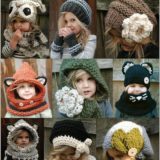 Have you always loved the idea of making homemade mini pizzas with your kids because it gets them used to working in the kitchen and they can customize the toppings they want… even though you try not to encourage them to eat too much pizza? 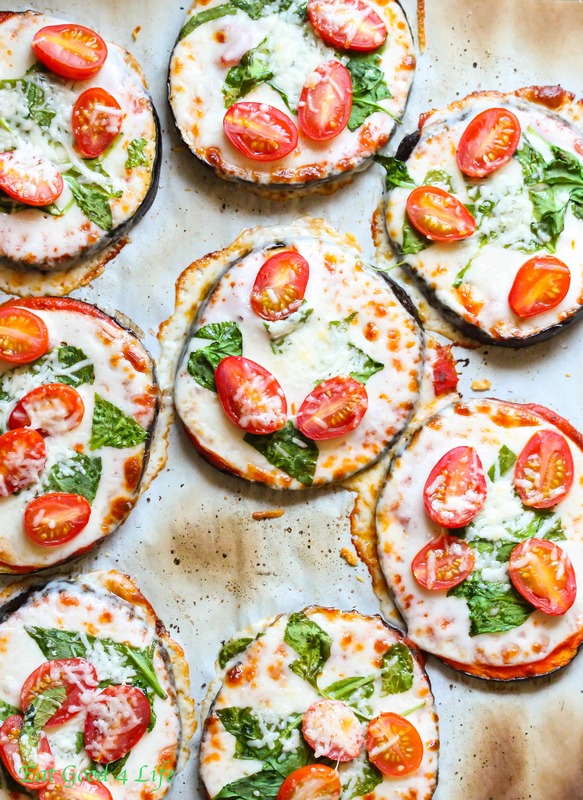 Well, if they also love eggplants as much as you do, show them how Eat Good 4 Life made mini pizzaz that are slightly healthier by putting their toppings on a big slice of eggplant rather than dough! 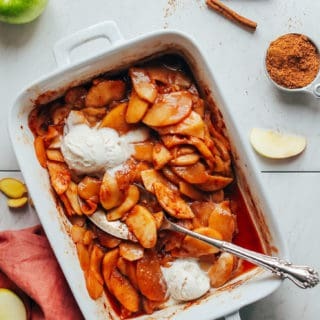 Similarly to our discussion of gratin, there are tons of different kinds of casserole you can make, each one even more delicious than the last! 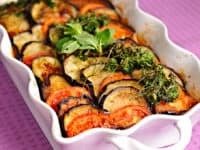 Imagine our excitement, then, when we came across this mouthwatering sliced eggplant and tomato recipe that shows you how to bake the two together in layers to perfect. 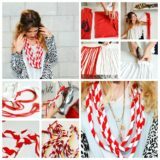 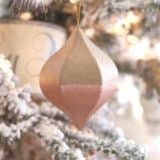 Get the full details on Arbuz. 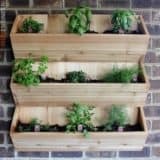 Did your ears totally perk up at the mention of the words “vegan” and “eggplant” in one sentence but the idea we presented there was something you’ve actually already tried before and you’d prefer to branch out? 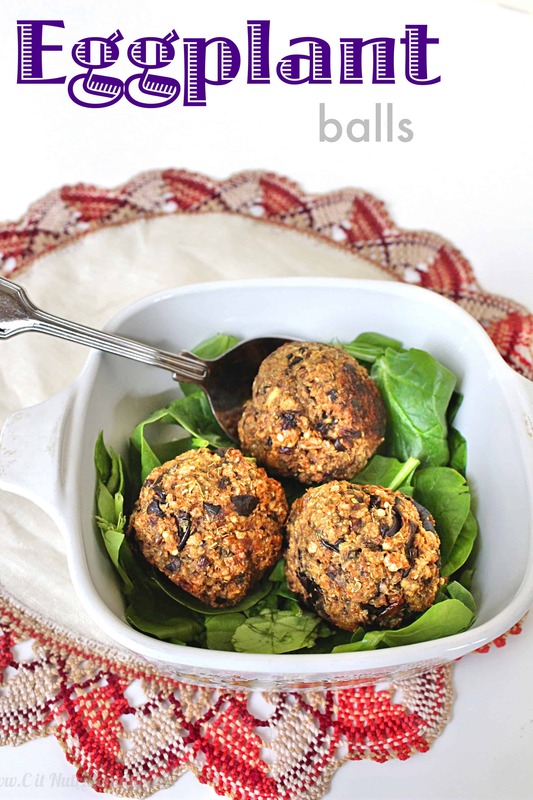 In that case, we’d absolutely suggest taking a look at how Nutritionally made these scrumptious (and wonderfully filling) little vegan eggplant balls that are full of flavour! 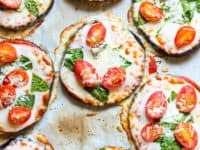 Are you very interested indeed in the idea of piling things you like on top of a slice of grilled eggplant, but you’d rather do it with alternative toppings to what you saw in the mini pizzas idea? 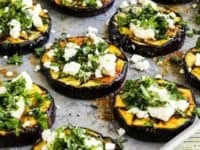 In that case, we have a feeling this delicious grilled eggplant with garlic-cumin vinaigrette, feta, and herbs recipe featured on Kalyn’s Kitchen might be a little more up your alley!